Les Misérables' is one of the most famous literary works in the world. It has been adapted for film several times. It's now available as a video game for the first time. Montfermeil, France, 1826. Fantine lives in poverty and is doing everything she can to get by. Fantine is forced to leave her little girl Cosette at the Thénardiers' boarding house because she's looking for work in the city. Unfortunately, the Thénardiers are dishonest innkeepers. They constantly exploit and abuse Cosette. Cosette becomes their maid. 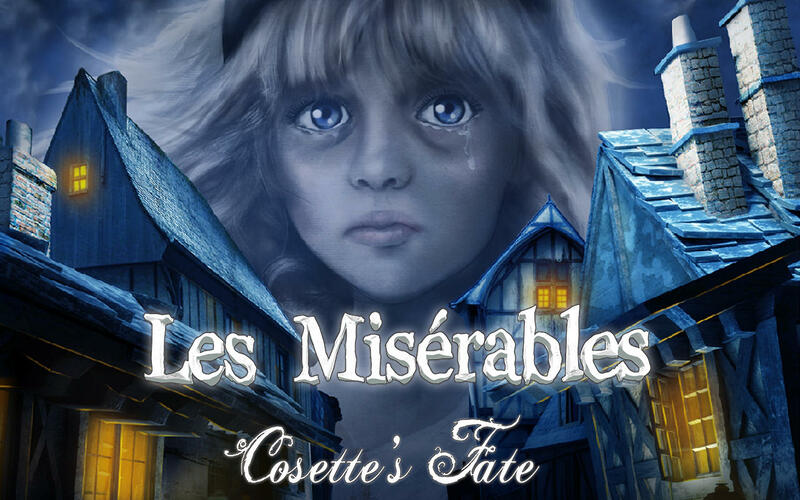 In this video game adaptation of Victor Hugo's brilliant work, you'll play Cosette. 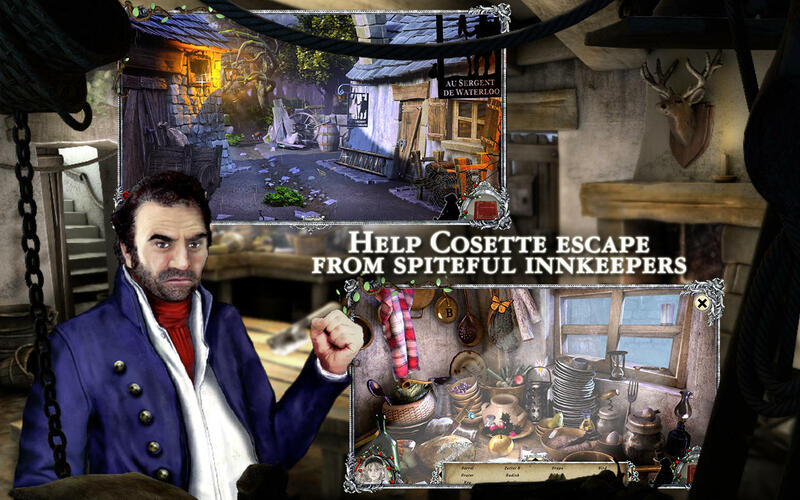 You'll try to escape from the clutch of the spiteful innkeepers. • Help Cosette have a better future. Get her out of the poverty that's hounding you. • Designed by the people behind great adventure games such as Atlantis, Dracula, and The Secrets of Da Vinci, etc.